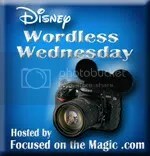 This week on the Focused on the Magic Wordless Wednesday blog hop, the theme is Four Favorites. 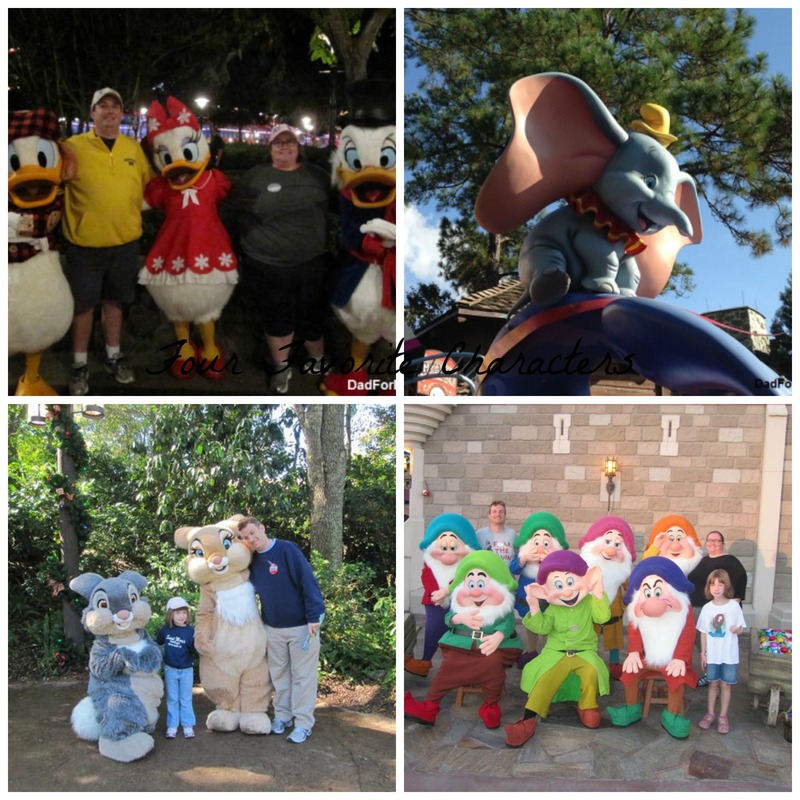 I chose four of my favorite characters that are rarely seen in the parks. Going from top left to bottom right is Scrooge McDuck along with Donald and Daisy (only seen at the Very Merry Christmas Party), Dumbo (only seen in Festival of Fantasy Parade), Thumper and Miss Bunny (no longer seen in Animal Kingdom), and the Seven Dwarfs (only seen at Not So Scary Halloween Party). Thumper is one of my favorite Disney characters. This adorable little rabbit made his debut in Bambi as a little ball of excitement, wonder, and, at times, mischief. Originally, Thumper was to only have a minor role in Bambi. After Disney cast young voice-actor Peter Behn, who was only four years old, Thumper took on a prominent role in the movie. 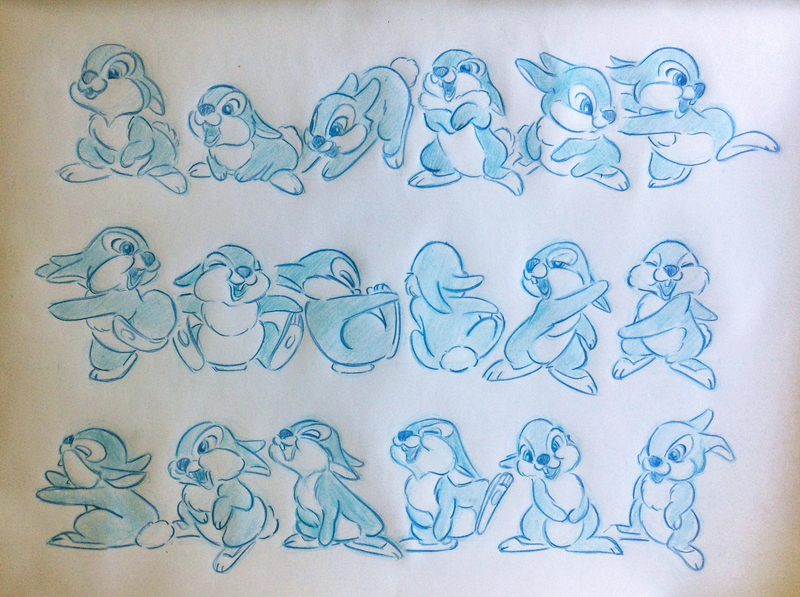 Thumper, in the 21st century, became the centerpiece of a series of books under the Disney Bunnies. These books were I Love You, My Bunnies, Thumper Counts to Ten, and Goodnight Thumper. My daughter had a copy of all of these books. I want to spend a some time discussing why I like Thumper, who in my opinion, is one of Disney’s best supporting characters.